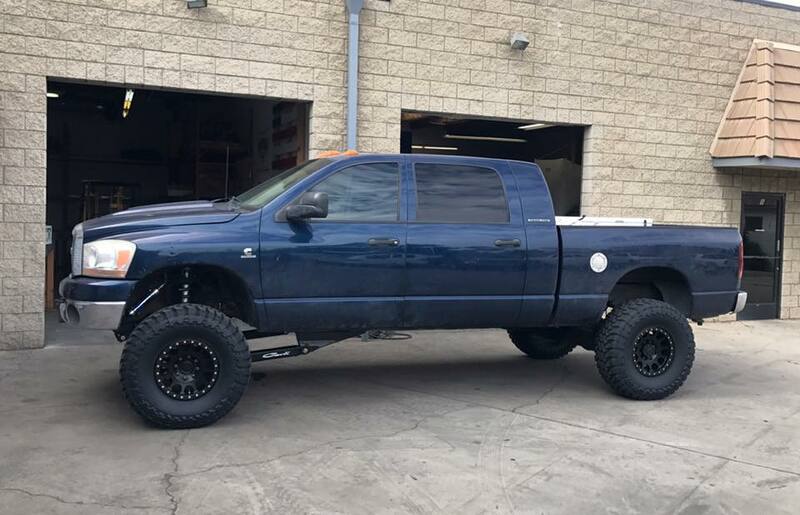 2006 Dodge Ram 2500 Mega Cab featuring Carli 6" Dominator, Method 105 beadlocks, and 37" Toyo MT tires. 2011 Ford Super Duty featuring 4.5" Carli Unchained system, 18" Method Standards, and 37" Toyo MT's. 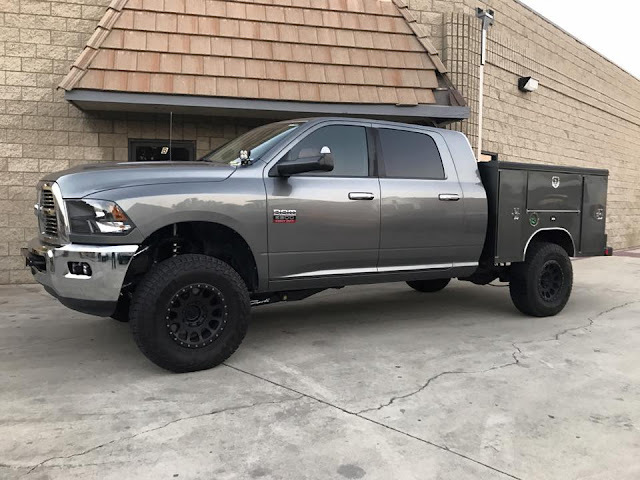 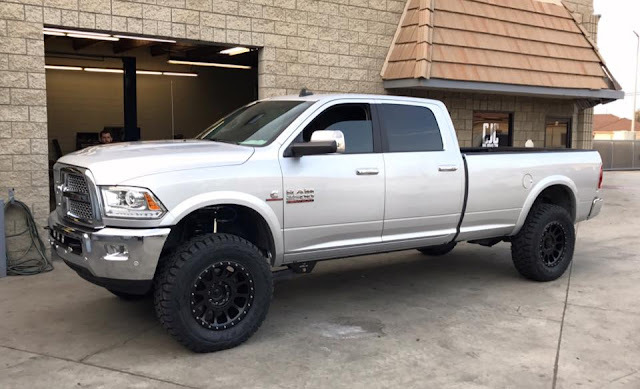 Carli 2014+ Ram 2500 Leveling Kit featuring 20" Method Standards and 35" Toyo ATII's. 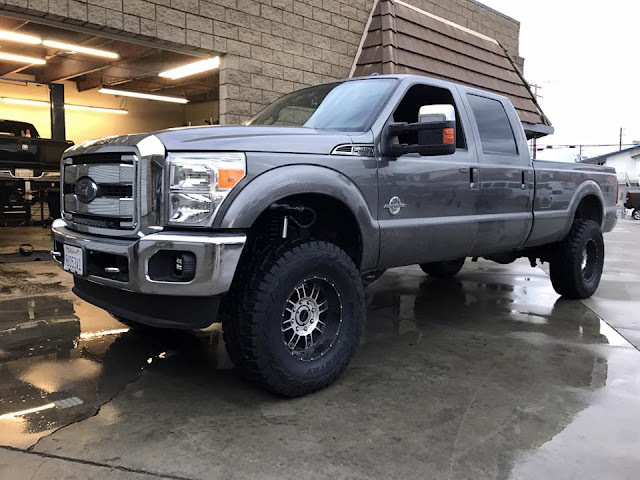 2016 Ford Super Duty featuring Carli Dominator 3.0 4.5" system, 18" Method Grids, and 37" Toyo MT's. 2014+ Ram 2500 Carli Commuter 2.0 3" lift, 17" Method NV's, and 37" Toyo Open Country R/T's. 2015 Mega Cab featuring Carli Suspension Pintop 2.5 3" lift, 20" Method NV's, and 37" Toyo R/T. 2014+ Ram 2500 Back Country 2.0, 18" Method NV's, and 35" Toyo R/T's. 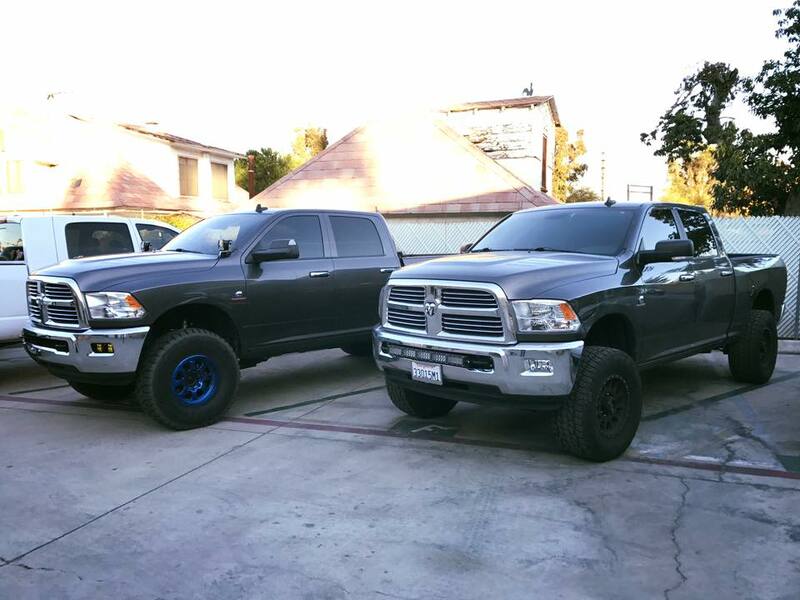 Two Carli 2014+ Ram 2500 Leveling Kits, truck on the left featuring 17" Raceline Avengers and 37" Toyo R/T's, truck on the right featuring 18" Method Double Standards and 35" Nitto Terra Grapplers. 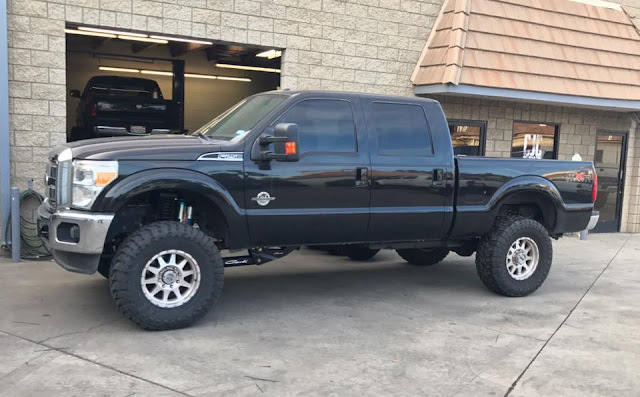 2012 Ford Super Duty featuring Carli 4.5" Dominator 3.0, 18" KMC's, and 37x13.5x18 Toyo Open Country R/T's. 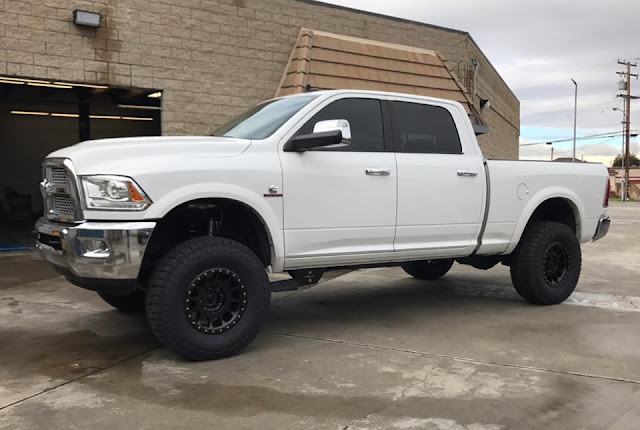 2011 Ram 2500 Mega Cab featuring Carli Long Arm 3" system, 17" Method 105 beadlocks, and 37" Toyo Open Country R/T's. 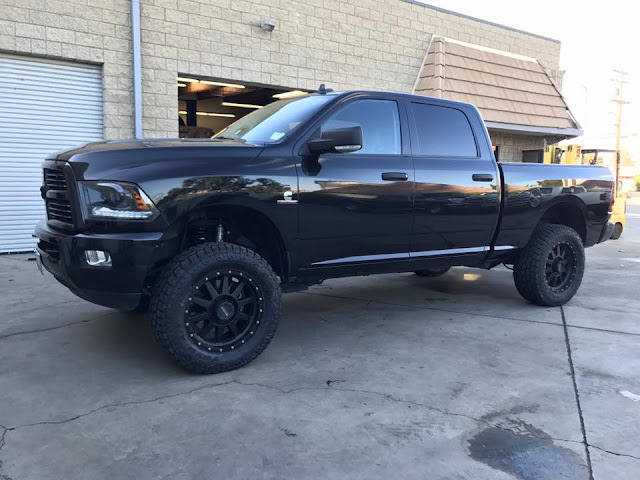 2015 Ram 2500 featuring Carli Leveling Kit, 17" machined Method NV's, and 37" Toyo R/T's. 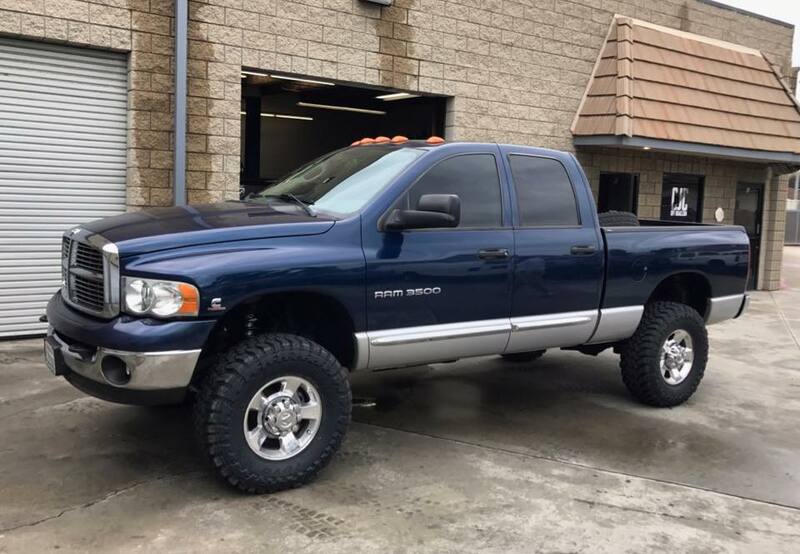 This incredibly clean 2005 is now sporting a Carli Back Country 2.0 3" suspension along with all the upgrades such as Carli Control Arms, Carli Torsion Sway Bar, and Carli Full Progressive Leaf Springs. 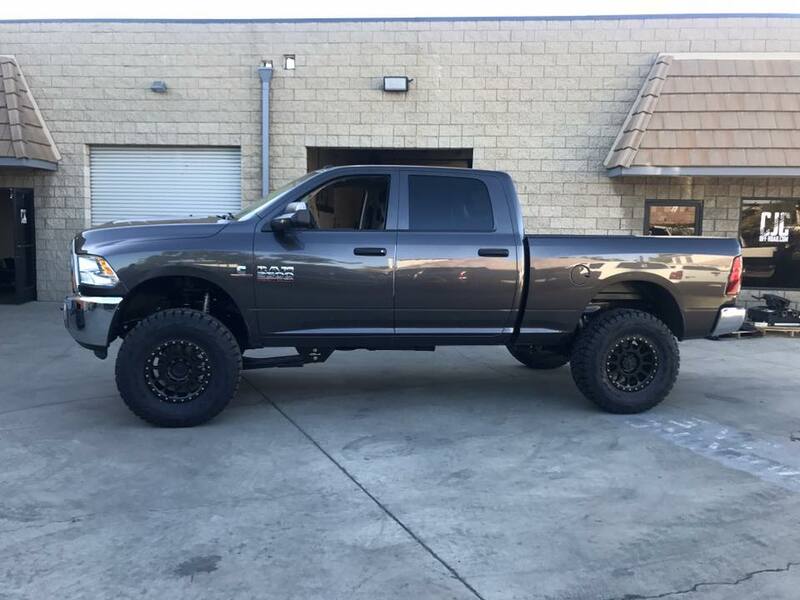 2016 Ram 2500 Sport featuring Carli 2014+ Ram 2500 Leveling Kit, 18" Method NV's, and 35" Toyo Open Country R/T's. 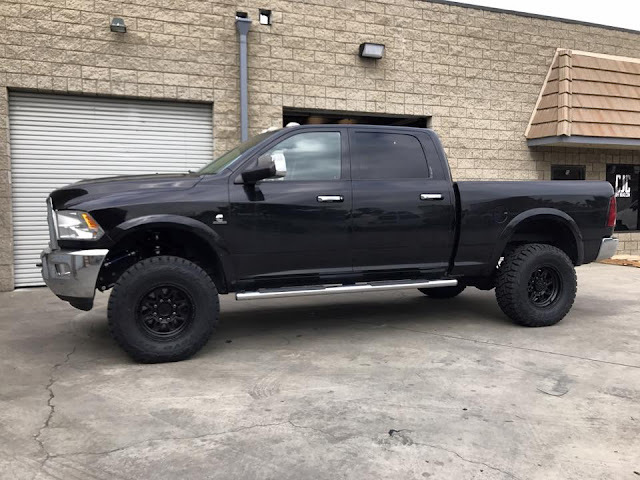 2013+ Ram 3500 Back Country 2.0 with 17" Method NV's and 35" Falken AT's. 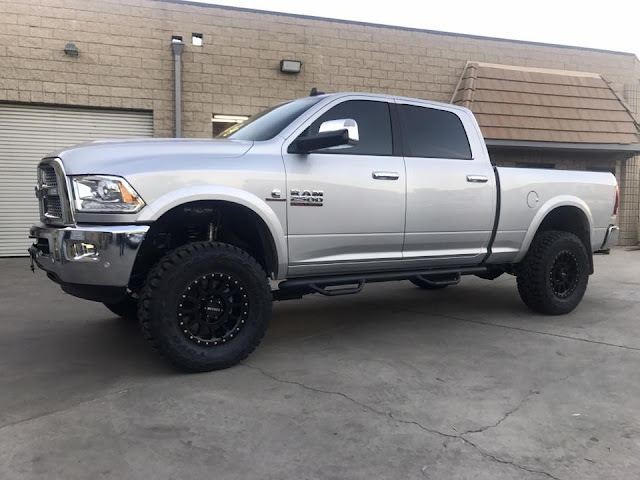 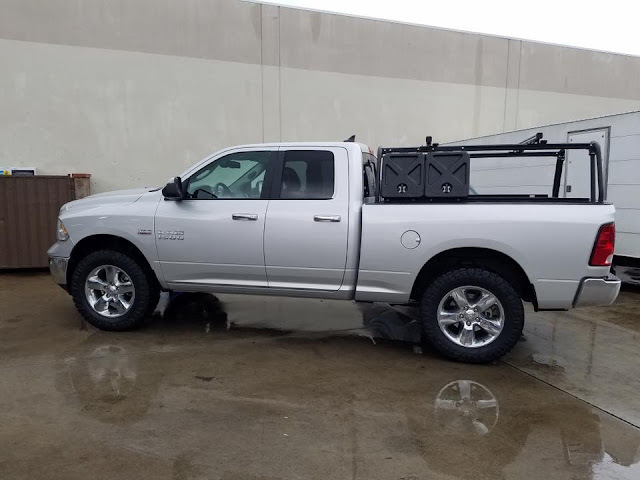 Carli 2014+ Ram 2500 Leveling Kit with 18" Method Standards and 35" Toyo R/T's. 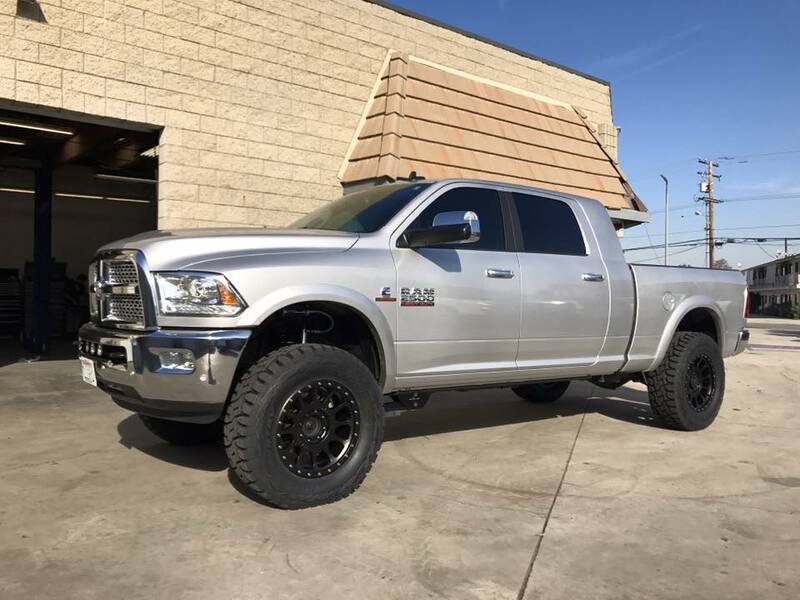 2016 Ram 2500 Sport featuring Carli Back Country 2.0, factory 20" sport wheels, and 35" Toyo R/T's. 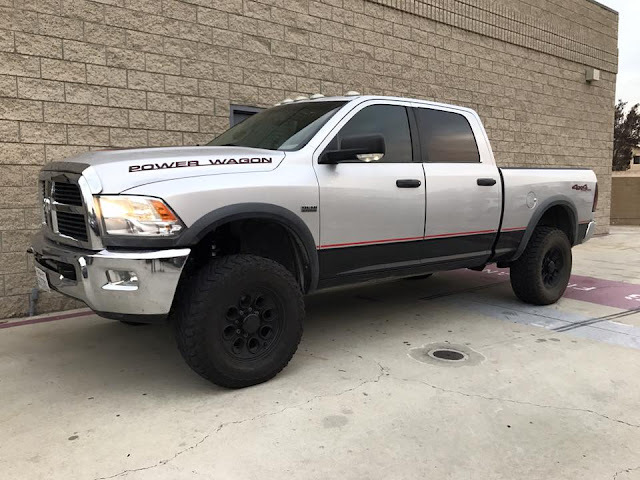 2012 Ram Power Wagon featuring Thuren Fabrication 2" coils. 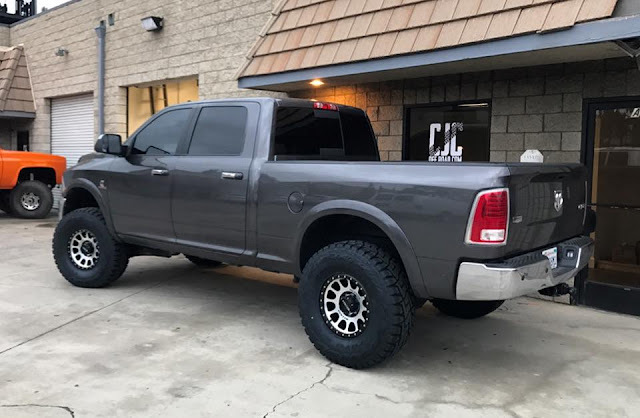 Thuren King 2.5's, AEV wheels, and 35" tires. 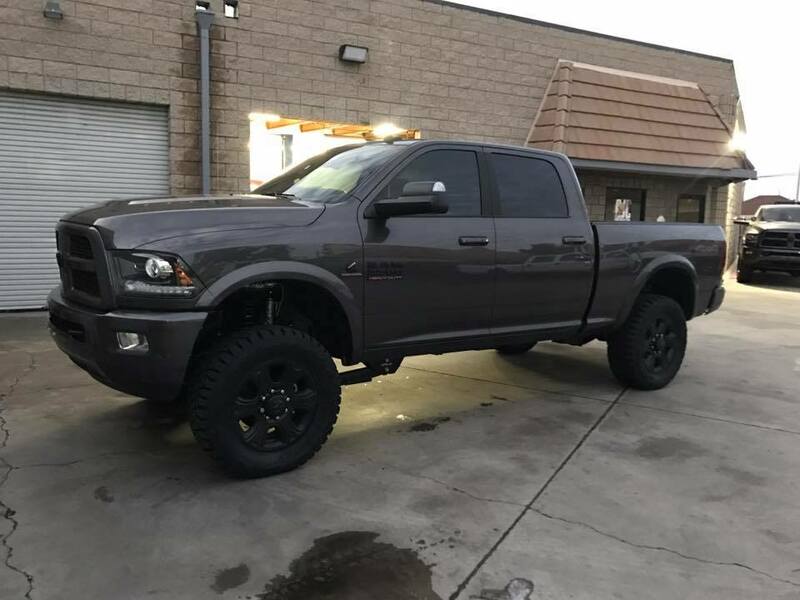 2012 Ram 2500 Mega Cab featuring Carli Commuter 2.0 system, Carli control arms, 17" Method NV's, and 37" Toyo Open Country MT's. 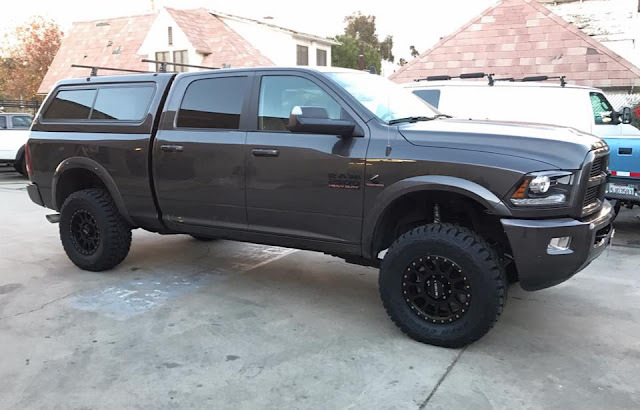 2015 Ram 1500 Hemi 4x4 featuring Carli King Performance 2.5 system and 35" Nitto Ridge Grapplers. 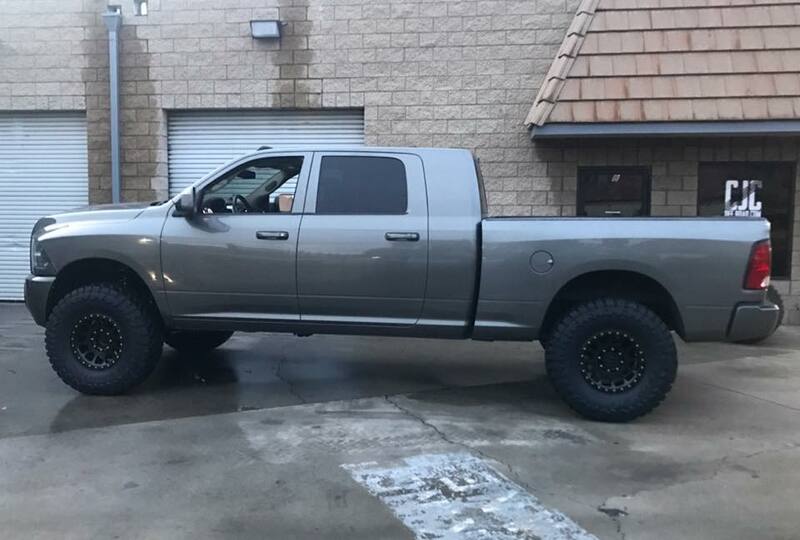 2012 Ram 2500 featuring Carli Dominator 3.0 system, Raceline 17's, and 35" Toyo R/T's. 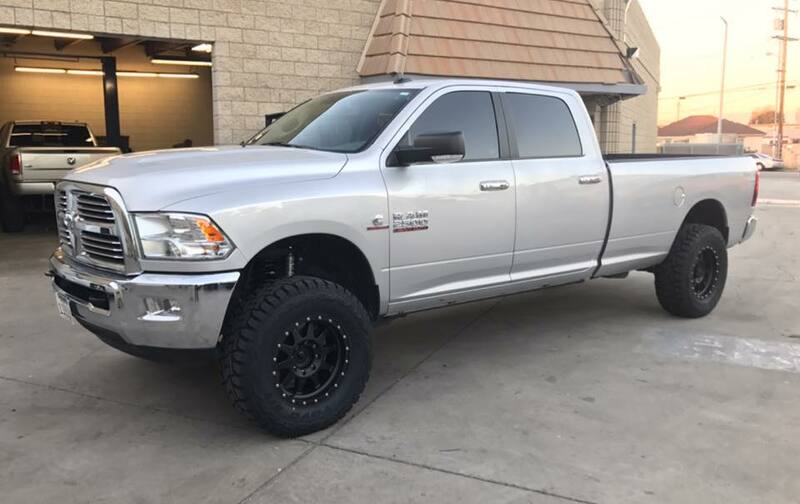 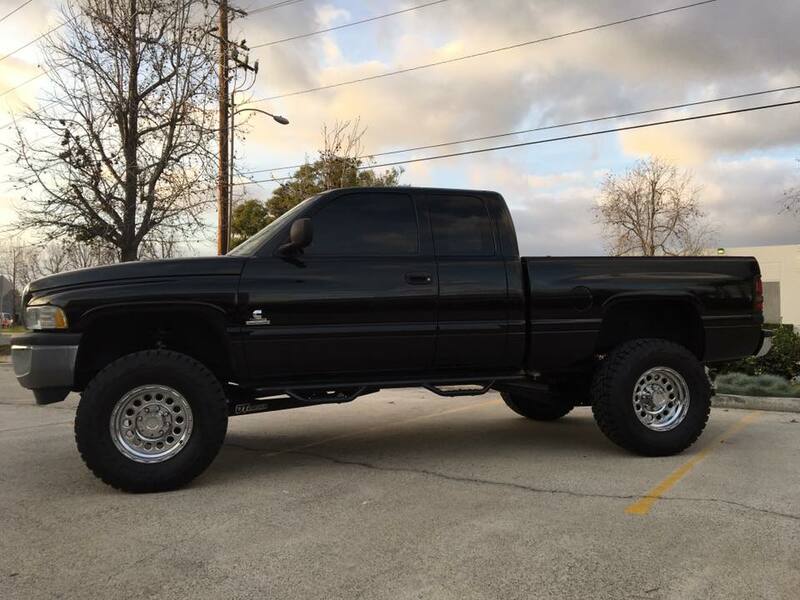 2001 Dodge Ram 2500 Cummins 4x4 featuring twin turbos, Carli Commuter 2.0 3" Lift, DT Pro Fab Radius Arms, and 35" Toyo R/T's. 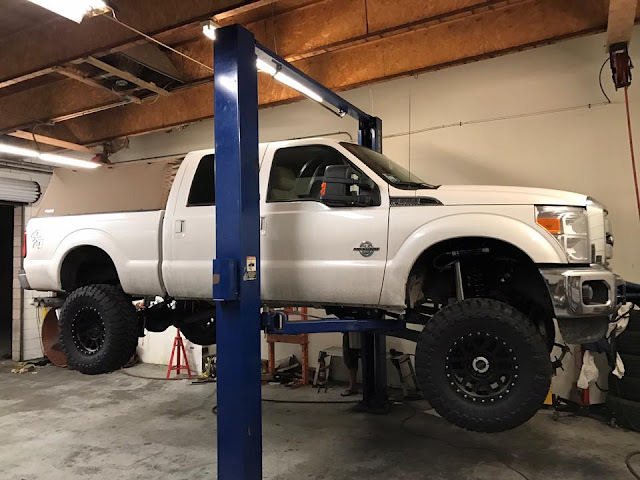 We outfitted Baja Designs' chase truck with a Carli Performance 2.5 Long Arm system. 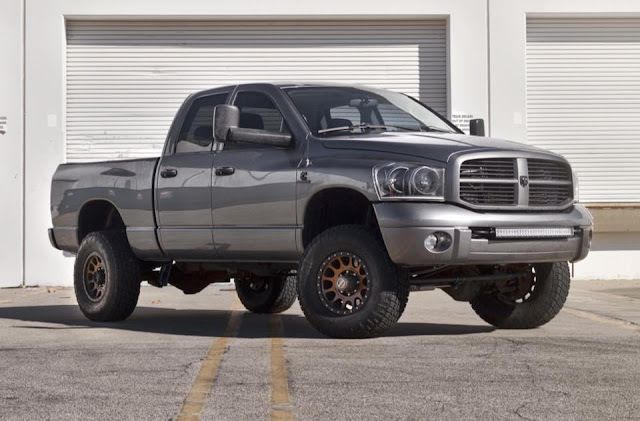 It also features Baja Designs lighting throughout, Method 17" NV's, and 35" Falken AT's. 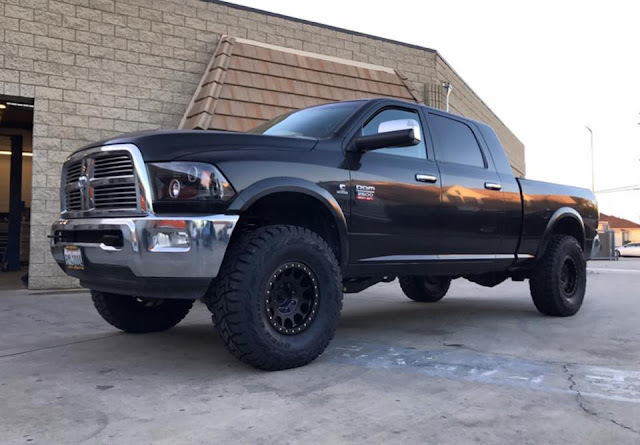 Andrew's 2006 Cummins featuring Carli Pintop 2.5 system, customer powder coated Method NV'sn and 315/70/17 Nitto Terra Grapplers. 2016 Ram 2500 factory air ride equipped truck featuring Carli Pintop 2.5 system, 20" Method NV's, and 37" Toyo R/T's. We have many more updates to bring you in the coming months. For more information one Carli Suspension products, check out http://www.cjcoffroad.com/Carli-Suspension-s/69.htm.